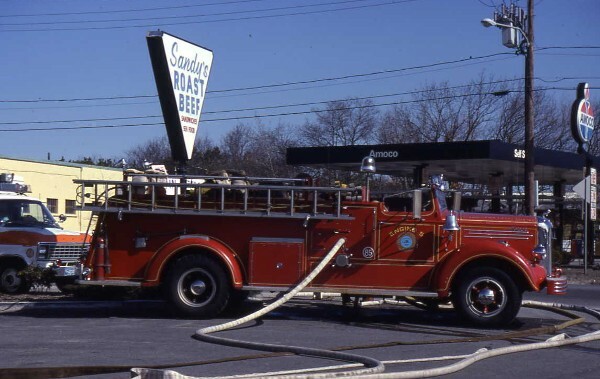 Served 43 years, retiring in 1992. 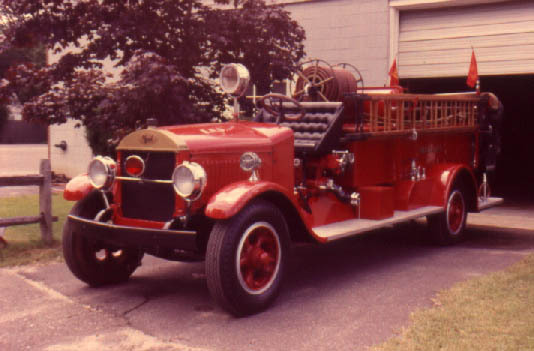 A number of Macks have served the Cape Cod area over the years. 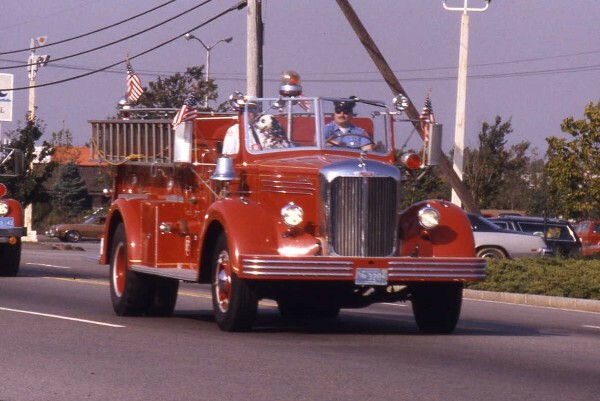 on Cape Cod, as they have around the world. 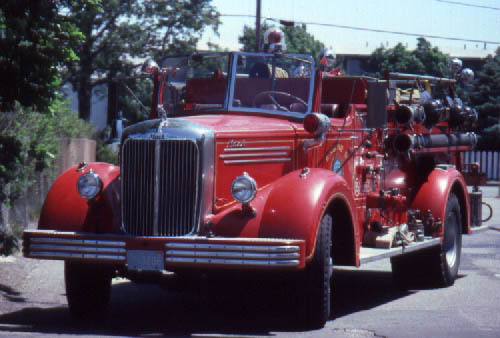 well preserved 1927 Mack Pumper. 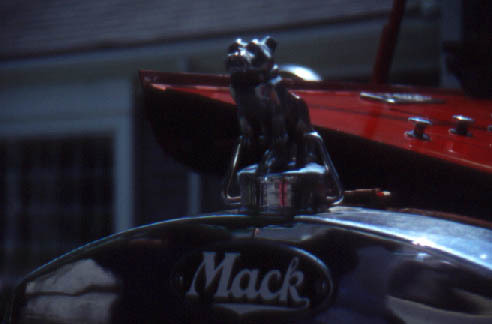 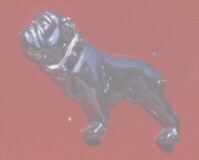 The Bull Dog sitting on the radiator of Barnstable's 1935 Mack. 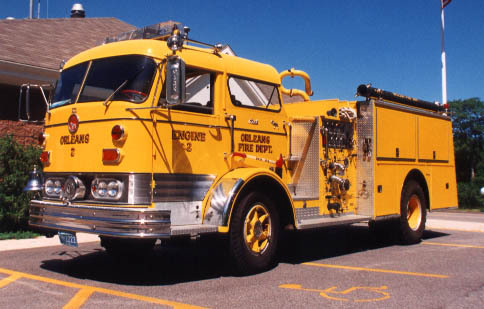 this 1935 Mack 500 gpm pumper. 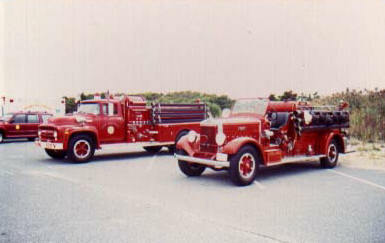 Barnstable's 1935 Mack with West Barnstable's 1956 Ford. 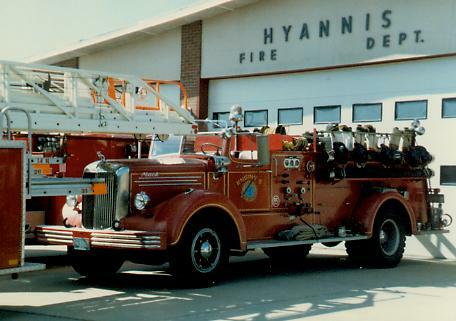 The Hyannis Mack was the only Mack to serve in Hyannis. 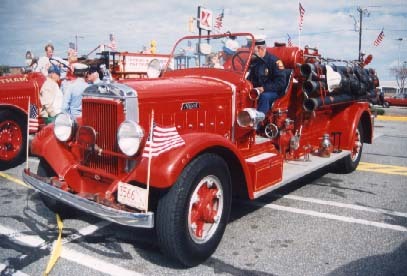 Hyannis' 1949 Mack L 750gpm Engine 5 had a 265 gallon tank. 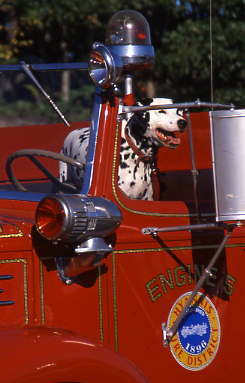 Shown at the 2001 Fire Prevention parade. 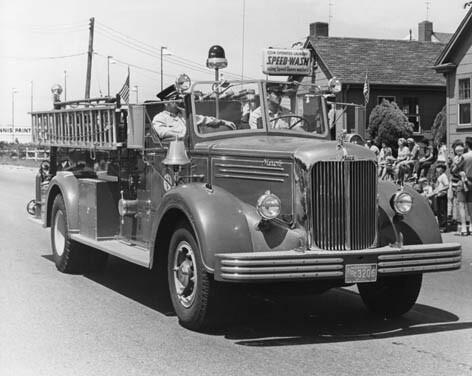 Hyannis' 1949 Mack Engine 5 pumping at a fire in 1980's. 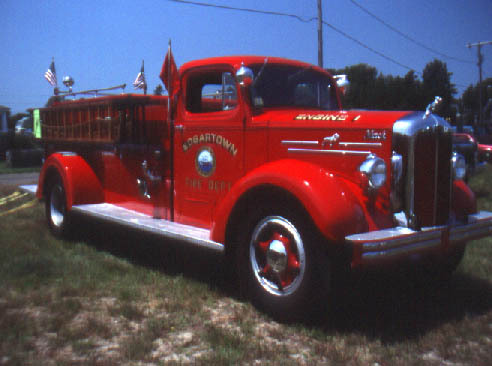 condition at the department's museum. 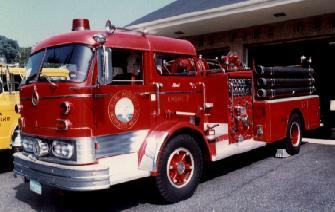 Orleans Fire Department bought this Mack C-95 series pumper in 1966. 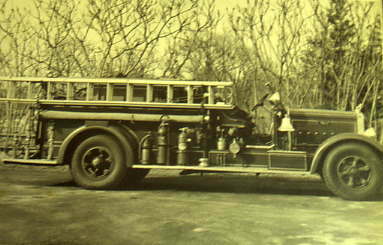 This was the first Diesel fire engine on the Cape. 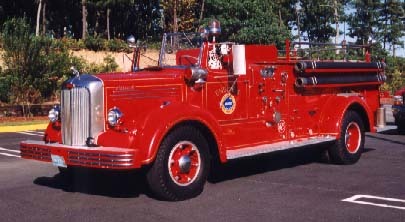 serves today in reserve status as Engine 178. 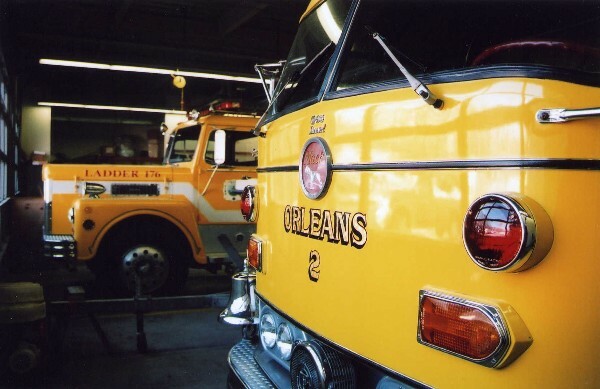 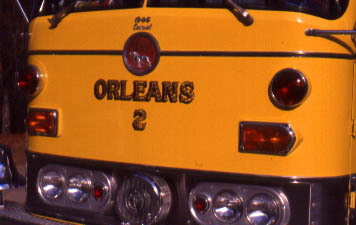 Orleans still operates the 1966 Mack in active reserve status. 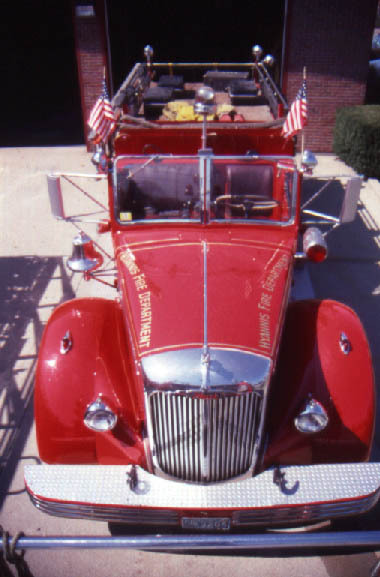 Shown next to the 1974 Maxim aerial ladder.